The Symphonized NRG 3.0 Earbuds is one of the budget friendly headphones that comes with noise isolation. And, just in case if you are looking ahead to purchase the earphone. Then you would might be interested in a Symphonized NRG 3.0 earbud review. You can also visit best earbuds under 50 dollar. Well if you do, then you are absolutely at the right place. 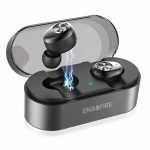 In this article we will be talking about the Symphonized NRG 3.0 Earbud and tell you why it is best. What are the top features that this headphone is offering? As well as we will be talking about some of the pros and cons. Symphonized is one of the favorite brands whenever it comes to music listening accessories. But the question is how good their Symphonized NRG 3.0 Earbuds are? Well talking about the headphone, well it comes with pretty good build quality and offers a pretty great sound. The headphone is handcrafted from all nature genuine wood. Hence, as a result, the headphone offers a crispy sound, powerful acoustics. Also, the headphone has deep bass, which definitely enhances your music listening experience. As you are already aware of the fact that wood is an excellent material when it comes to making sound delivering accessories. 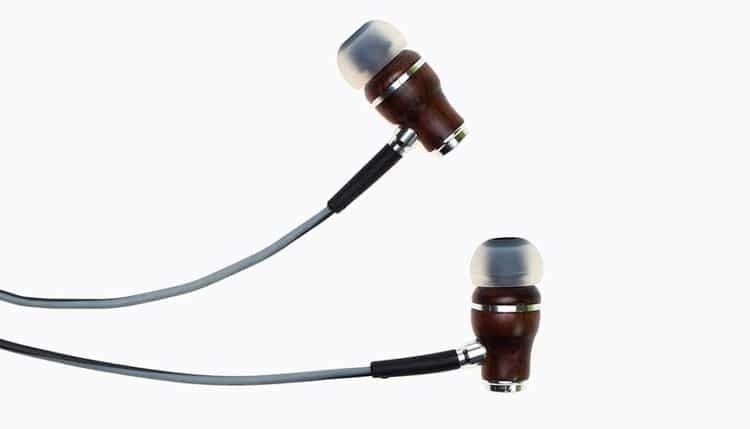 Also since the NRG 3.0 Earbuds are made of wood, so you will get a natural acoustical sound quality. It lets you hear, studio tuned premium sound with crystal clear clarity. This means you will be able to sport each and every detail in the music. Apart from excellent sound quality, the headphone also comes with a unique design. 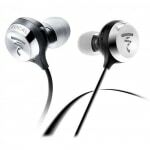 The headphone is designed in such way that it will comfortably fit in your ear and it will not easily fall down. There are three sizes (S/M/L) custom silicon tips are also included. So you do not have to worry about your ear size. In addition to that, the headphone is noise isolated. This means the headphone will reduce the background noise and allow you to experience a better audio experience. Talking about the noise isolation, well the headphone works pretty well compared to any other headphones in the market. The noise isolation is not the best in the business, but for the price, there is no other headphone which is better than this. Also, the perfect ear tips design makes it comfortable for long term wear. Plus the headphone is super stylish. It comes with 6 different color options with a sleek. So you can quickly pick the color according to your choice. These colors include Black and grey, blue and grey, Crimson Red and Hazy Gray, Fiery Orange and Hazy Gray and Resilient Purple and Hazy Gray. Also if you ask which color seems the best, we would definitely say the Crimson Red and Hazy Gray. It looks incredibly classy and can match up with the fashion trends. In addition to that, the Symphonized Bluetooth earbuds also offers durability. This means you are getting a long lasting product with a stylish design. The Symphonized NRG 3.0 Earbuds are also easy to use. The headphone has volume control and pause/play button embedded to the wire. Hence, as a result, you do not have to increase or decrease the sound from your smartphone. Also yes, the headphone features a microphone. The microphone also comes with the answer and end call options. In addition to that, you will even get voice control feature. Overall, you will get full control over your headphone directly from the inline buttons. Hence, as a result, you will be able to access the headphone options in a pretty quick way. In the talking about the compatibility, well the headphone supports almost all type of devices. These devices include Android devices, Apple devices also it will be compatible with any kind of mp3 players that comes with a 3.5mm jack. Now that you know about the headphone let’s just talk about the features that this headphone is offering. It is built with natural wood which offers an excellent sound quality. Inline buttons make it easy to access headphones options easily. It has tangle-free cords and comes in different color options. 6 Pairs of Customer Fit Silicone Tips. A carrying pouch is included. So that was the Symphonized NRG 3.0 specs review. In the end, we would like to say that if you are really looking for a headphone that offers noise isolation. As well provides an excellent sound quality on a budget. So go ahead and have a look at the Symphonized NRG 3.0 headphone. Also for any questions, feel free to comment below.